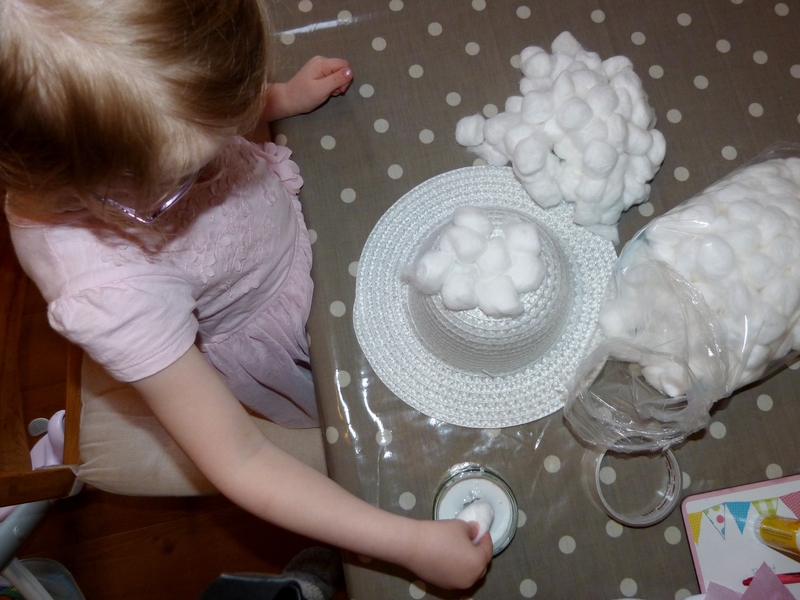 Step 1: Dip the cotton wool balls in PVA glue and cover the bonnet. 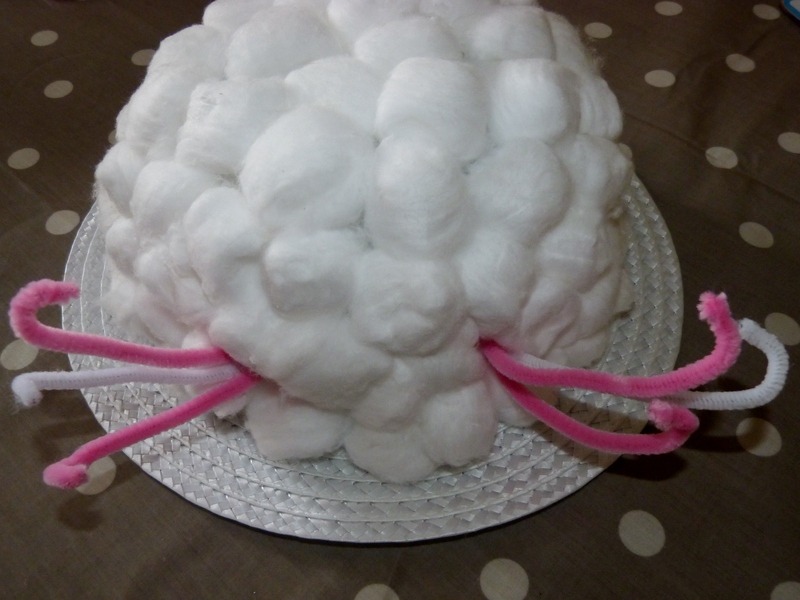 Step 2: Push 3 pipe cleaners into the hat and back out again to create the whiskers. This as a little fiddly but I used a metal kebab skewer to make two holes in the hat, to make it easier to push the pipe cleaners through. 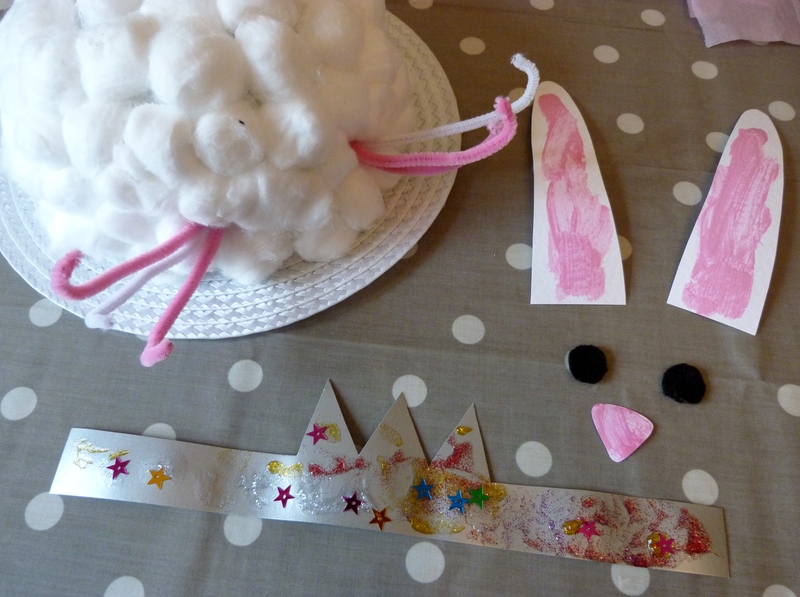 Step 3: Cut out two bunny ear shapes from white card. 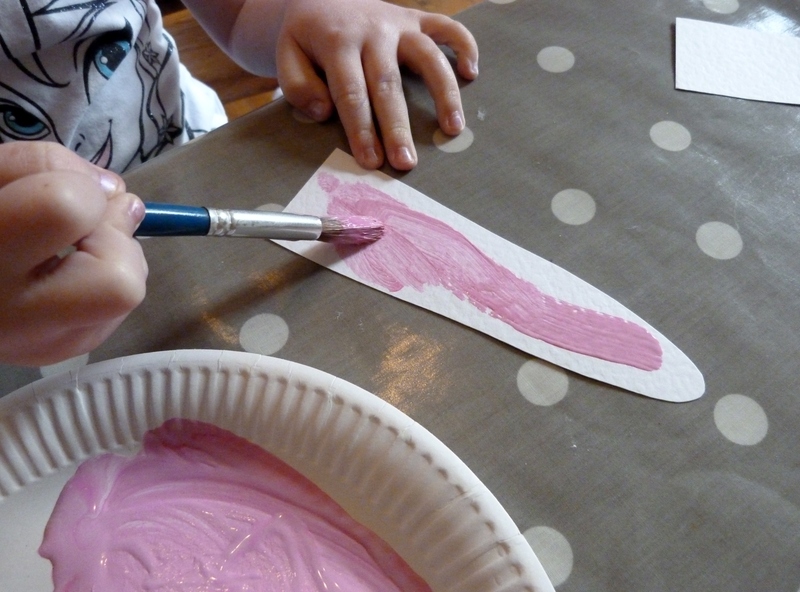 Paint the insides of the ears pink, or cut out two shapes from pink card and stick them onto the ears. 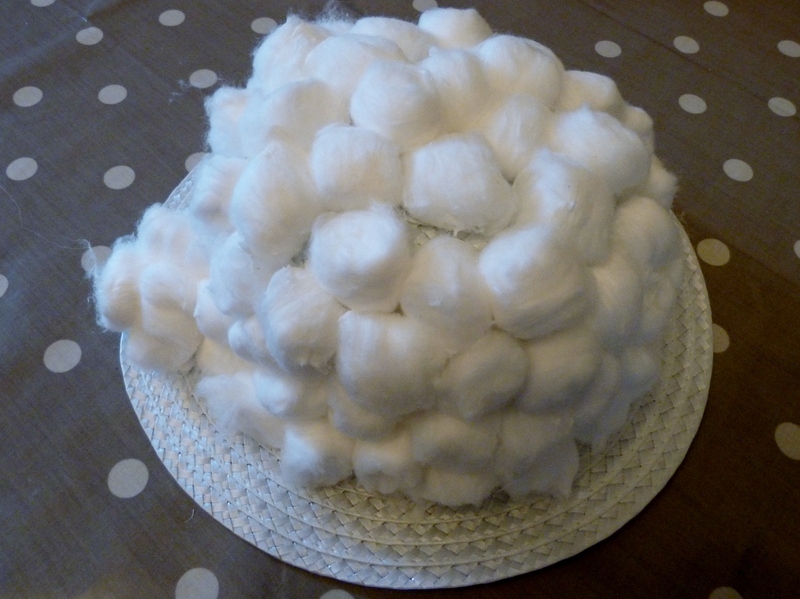 Glue onto the top of the hat once dry. 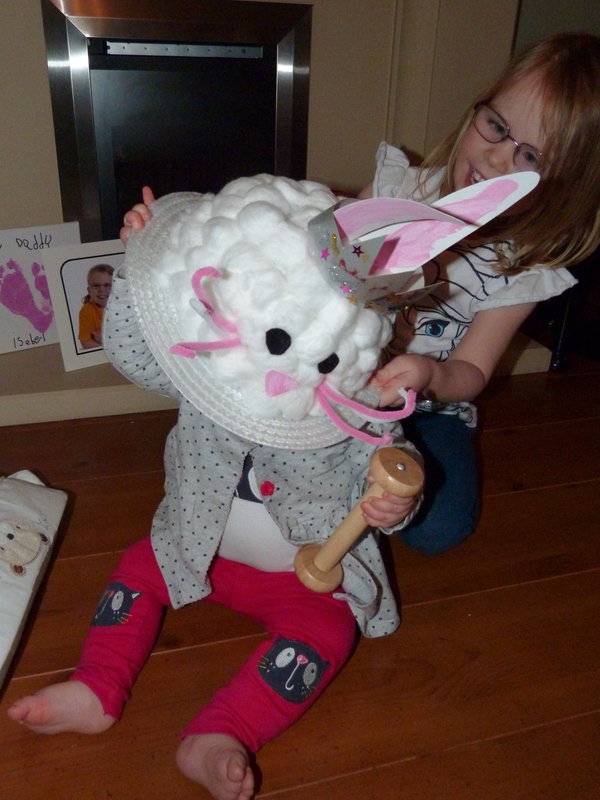 Step 4: Cut out a triangle for the nose, either from pink card or from white card and paint it pink, and glue onto the hat. Step 5: Cut two circles of black card or felt for the eyes and glue onto the hat. 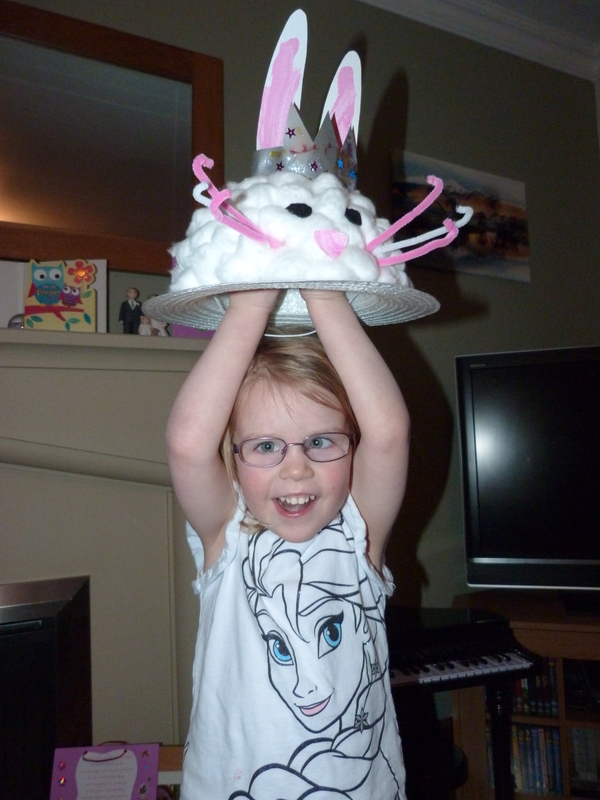 Step 6: To turn your bunny into a princess, cut out a crown from some coloured card and decorate with glitter glue. The glitter does take ages to dry – I had to scrape some off once Izzy had finished decorating it, otherwise it would never have dried as she had used so much. 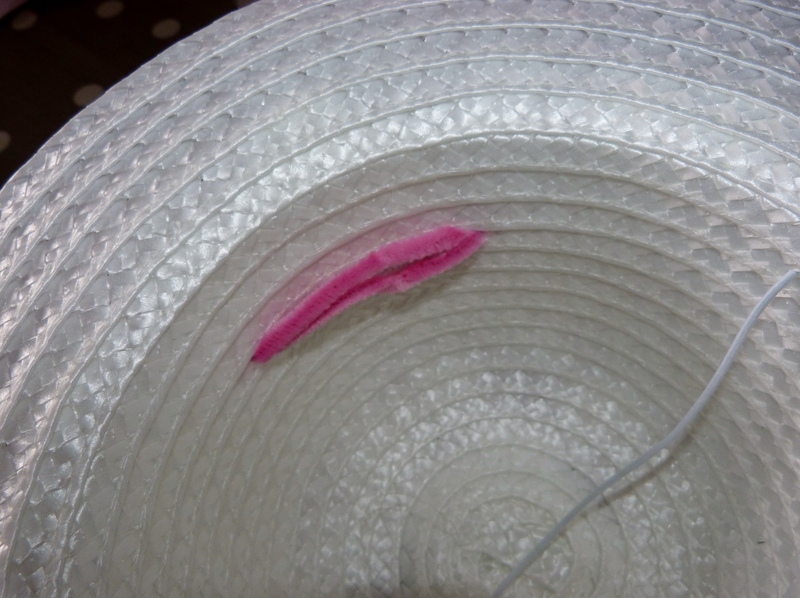 Once dry, stick the edges together to make a crown and slot over the ears. Now I’ve got to make sure it stays in one piece until she goes to school on Thursday. 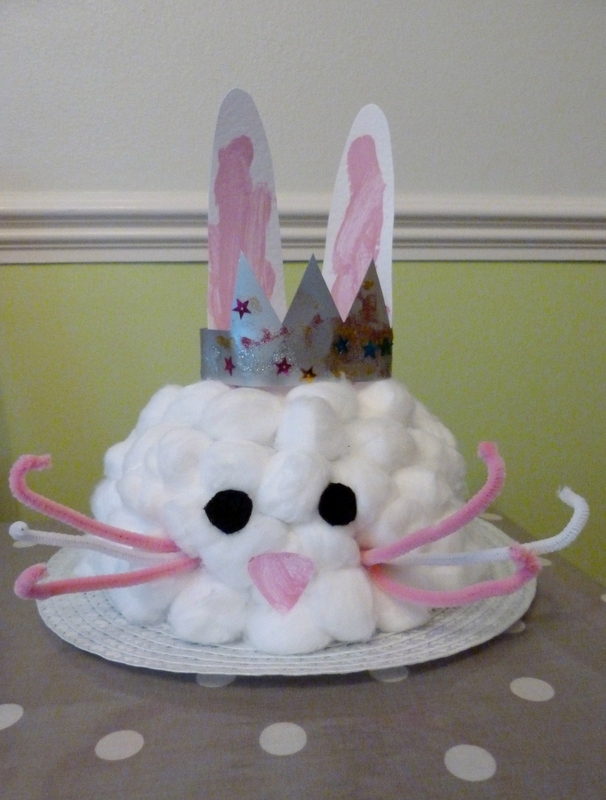 eeeeeeeeeeeeekkkk that cotton wool!! (I have a major phobia!!!!!!) It looks great though, what a great idea for a bonnet! 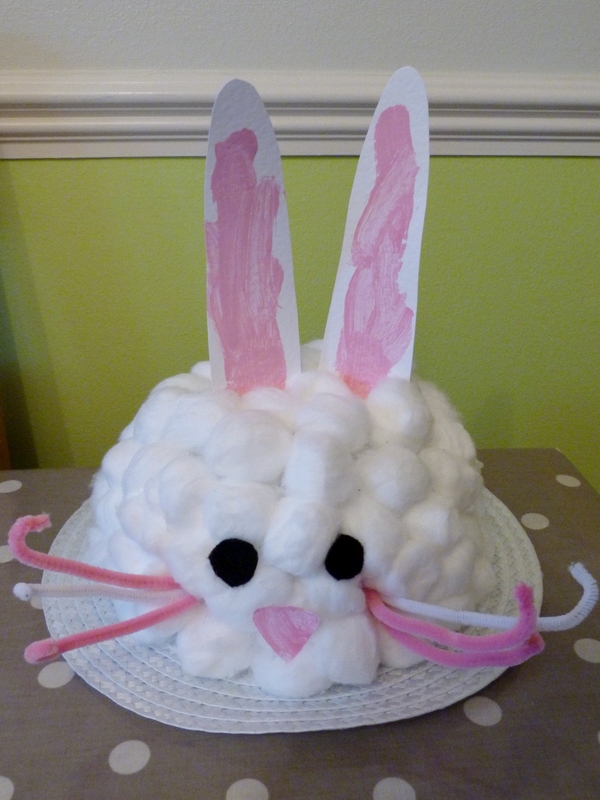 What a great idea for an Easter bonnet. So cute! 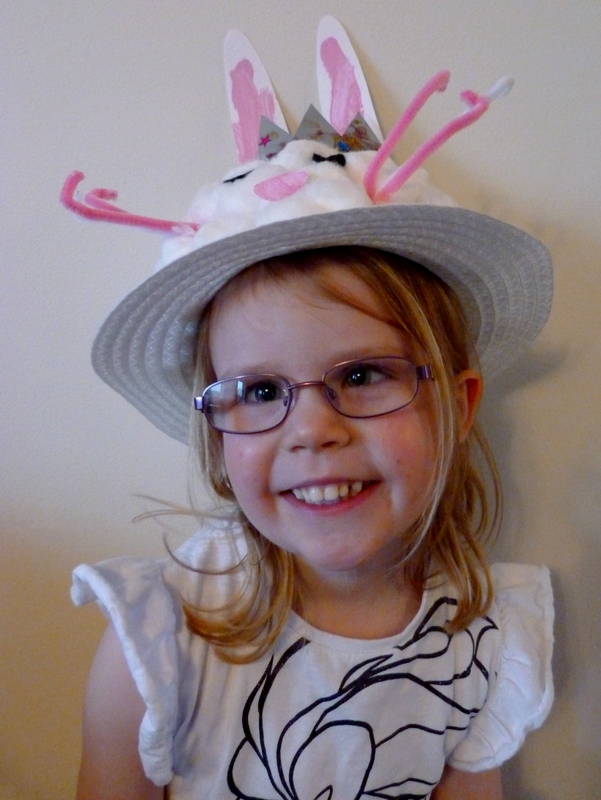 Thank you, Izzy was really pleased!